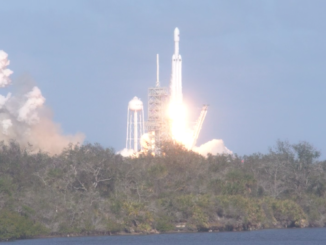 Watch a 4K video replay of the first Falcon Heavy launch as viewed from the Kennedy Space Center Press Site around 3 miles from pad 39A. 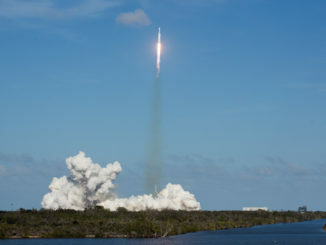 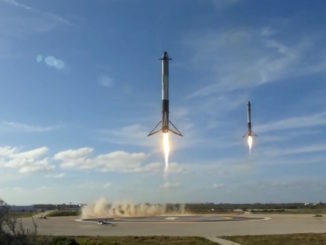 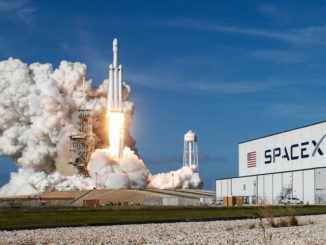 SpaceX’s new Falcon Heavy rocket successfully soared into orbit Tuesday, and its two strap-on boosters came back to Cape Canaveral for an electrifying double-landing punctuated by quadruple sonic booms. 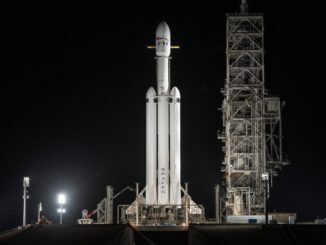 SpaceX’s first Falcon Heavy rocket is set for liftoff Tuesday from NASA’s Kennedy Space Center in Florida, and the heavy-lift launcher will head on an easterly course over the Atlantic Ocean atop nearly 5 million pounds of thrust. 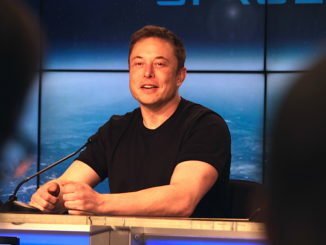 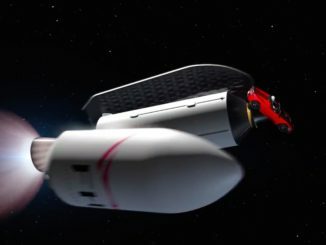 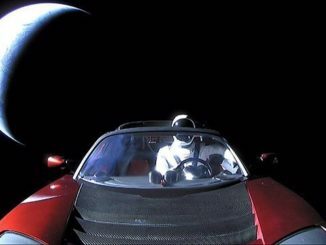 The electric sports car shrouded inside the nose of the first Falcon Heavy rocket may conjure notions of a flight of fancy, but SpaceX founder Elon Musk says the powerful new launcher awaiting blastoff Tuesday from Florida’s Space Coast has a lot to prove. 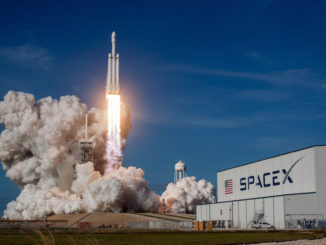 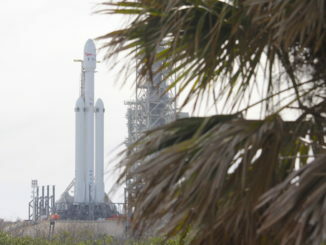 SpaceX’s Falcon Heavy rocket stood atop historic launch pad 39A on Monday, one day before 27 kerosene-fueled rocket engines will dispatch the towering rocket into space with nearly 5 million pounds of thrust.